The third at Royal Golf Dar Essalam is a 402 meter par 4. Teacher’s Comments: A tough Robert Trent Jones, Sr. course. Exotic. Fun. Royal Golf Dar Es Salam was my first encounter with golf in Morocco, and it was at once both familiar and exotic. Dar Es Salam means “place of peace,” and I certainly agree that the setting offers a peaceful and rejuvenating round. I was in Morocco as the guest of the Moroccan National Tourist Office for a “Fam” (familiarization) trip to visit the sights, take in the culture and of course, play some golf. Royal Golf Dar Es Salam’s layout is classic RTJ, Sr: long, rectangular tee boxes, strategic fairway bunkers, and difficult greens complexes. Royal Golf Dar Essalam actually reminded me a bit of Boyne Highlands’ Heather and Oakland Hills’ South, but with cork-tree lined fairways. There were a couple of fairway layouts and greens complexes that I was convinced I previously had seen on those two courses. Jones is famous for his mantra that a good golf hole should be a difficult par, but an easy bogey. I think that is true of Royal Golf Dar Es Salam. The course is long and strategically difficult. From the tips, it stretches to more than 7,200 yards. To maximize fun, I played it well forward. I was still, however, working hard for bogey. 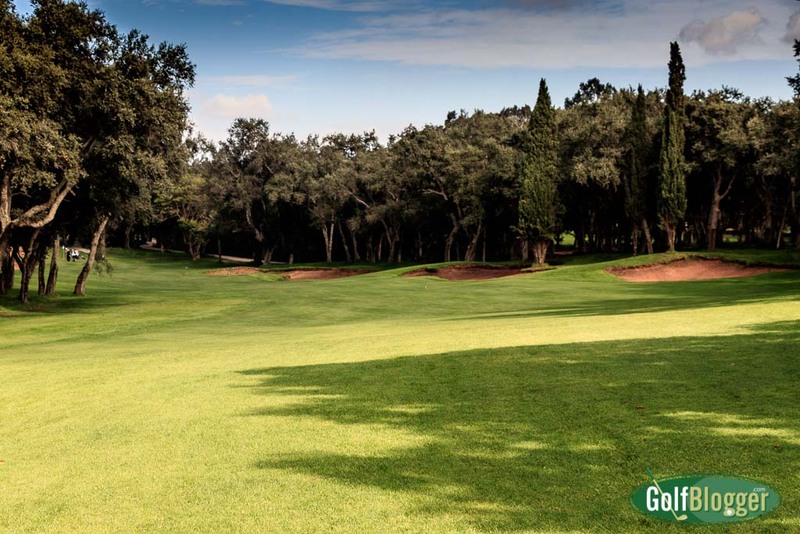 In spite (or perhaps because of) the difficulty, Royal Golf Dar Es Salam is a lot of fun. I enjoyed picking my way around the course, gauging whether I could carry a particular bunker, or if it was more wise to go short or wide. I actually managed to avoid most of the trouble on the course. My caddy was, I think, as a whole rather disappointed with me. The familiarity of RTJ, Sr. course, however, is offset by by the exotic and unfamiliar setting. Cut through a forest of cork trees, Royal Dar Es Salam is accented by palms and Mediterranean cypress. The twisted trunks of the cork lend a very different look from any course I have ever played. Reddish brown bunkers add to the character. The thirteenth at Royal Golf Dar Essalam is a 355 meter par 4. My favorite hole on the course was the par four thirteenth. Coming in a 355 meters (388 yards), it starts from a slightly elevated tee, flowing down to a corner, then doglegging back up to the green. At the corner are some beautiful bunkers framing the edges and cypress trees. This is a great hole for a player with a draw to take dead aim at the bunkers, and let the ball curve around to skip down the slope. The greens complex has bunkers left, right and center. But of course I hooked the ball left into the cork tree forest. My caddy found it, and I played a 2 hybrid out of the trees (I am an expert in extraction from the trees). Gauging golf course conditions in Morocco is a difficult task. I played three high-end courses in three very different environments and was pleased with all of them (although the grass on one — Mazagan — took some getting used to). All three were, however, different from what I expect to see on a high-end course in Michigan. Not bad. Just different. The greens at Royal Golf Dar Es Salam were in great shape — smooth and fast. They were exactly what I expected. Fairways were well-tended and closely mowed. I imagine that brown spots and exposed dirt have been banned by royal decree. An American visitor, however, may find them different from the cushioned lushness found at many high end US resort courses. The only way I can describe it is to say that the grass cover was thinner. When my club bottomed out, I felt as though I was hitting dirt faster than I would on a plush northern Michigan carpet. The difference surely is a function of climate and grass types. Different, but still very good. I will also note that some renovation work was underway at Royal Golf Dar Es Salam. Many of the bunkers were “ground under repair,” with the sand removed and significant remodeling of the sides underway. One hole had a backhoe parked on it. By the time any of you, dear readers, arrive to play golf in Morocco, the repairs will be long gone. The most amazing thing about this great course is the price: greens fees are 600 Dirham, or about $60. The caddy fee is 100 Dirham, or about $10. I felt guilty about the fee being so low, and gave the guy a 100% tip. Looking back, I still feel guilty. But it goes to show that your vacation money will go a long way in Morocco. Read about the other courses I played in Morocco: Gary Player’s Mazagan and Royal Palm. The Royal Golf Dar Es Salam Review was first published December 5, 2016, from notes taken during a round on November 19, 2016. The first at Royal Golf Dar Essalam is a 365 meter par 4. The second at Royal Golf Dar Essalam is a 185 meter par 3. A view from the fairway at Royal Golf Dar Essalam Hole 3. 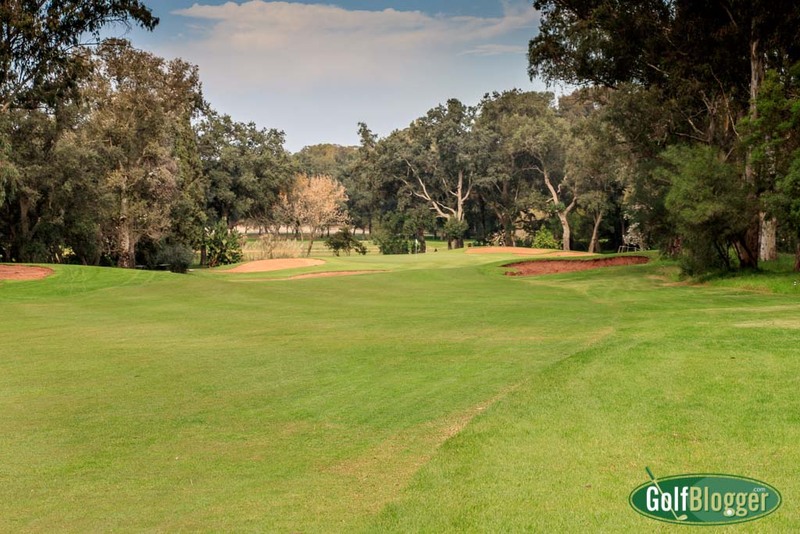 The fourth at Royal Golf Dar Essalam is a 374 meter par 4. The fifth at Royal Golf Dar Essalam is a 507 meter par 5. A view of the greens complex at Royal Golf Dar Essalam on the fifth hole. The sixth at Royal Golf Royal Golf Dar Essalam is a 383 meter par 4. A view of the sixth ggreen. The seventh at Royal Golf Dar Essalam is a 385 meter par 4. The eighth at Royal Golf Dar Essalam is a 524 meter par 5. A view of the eighth green. The ninth at Royal Golf Dar Essalam is a 154 meter par 3. The tenth at Royal Golf Dar Essalam is a 439 meter par 4. The eleventh at Royal Golf Dar Essalam is a 413 meter par 4. The twelfth at Royal Golf Dar Essalam is a 480 meter par 5. The fourteenth at Royal Golf Dar Essalam is a 187 meter par 3. The fifteenth at Royal Golf Dar Essalam is a 352 meter par 4. The sixteenth at Royal Golf Dar Essalam is a 384 meter par 4. A view of the sixteenth green. The seventeenth at Royal Golf Dar Essalam is a 202 meter par 3. The eighteenth at Royal Golf Dar Essalam is a 501 meter par 5. Nice review of golf in Morocco. 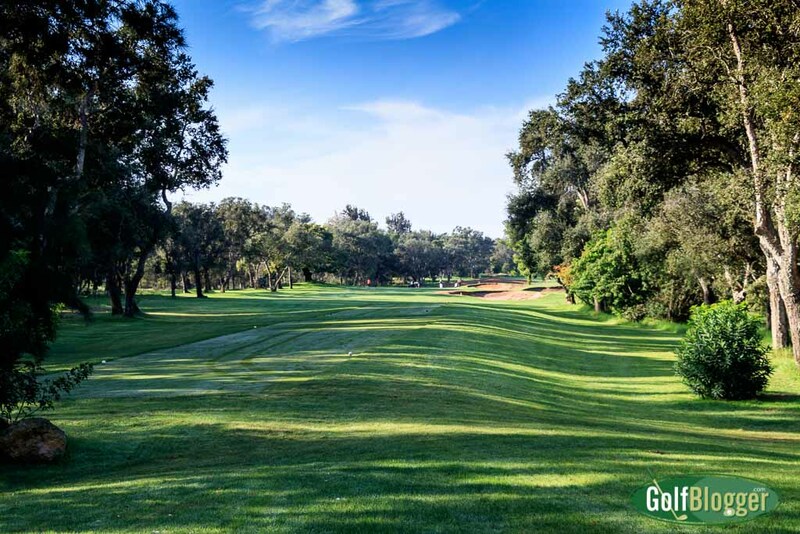 We have been on many trips to the country over the years and recommend the quality of the golf courses and hotels. Most recently we stayed at the Sofitel in Marrakech. We took part in a tournament golf holiday playing courses at Noira, Al Maaden, Amelkis and Samanah designed by Jack Nicklaus. Of these the Noira was the most spectacular and highly recommended, Jack’s course at Samanah is also excellent. Thoroughly enjoyed the trip but it was a couple of years ago and I think Morocco has suffered a little due to the change in tourism trends. Interesting to read how you found it during your trip. Thanks.